National Park Archipelago Los Roques is a necklace of islands in the Caribbean Sea situated 80 miles off the north coast of Venezuela, conveniently located for anglers traveling from the US. Technically referred to as an archipelago, Los Roques is an unspoiled atoll, characterized by its extremely clear waters, magnificent coral beds, diverse and varied flats, sandy beaches and hundreds of smaller mangrove cays –all with incredible natural beauty. 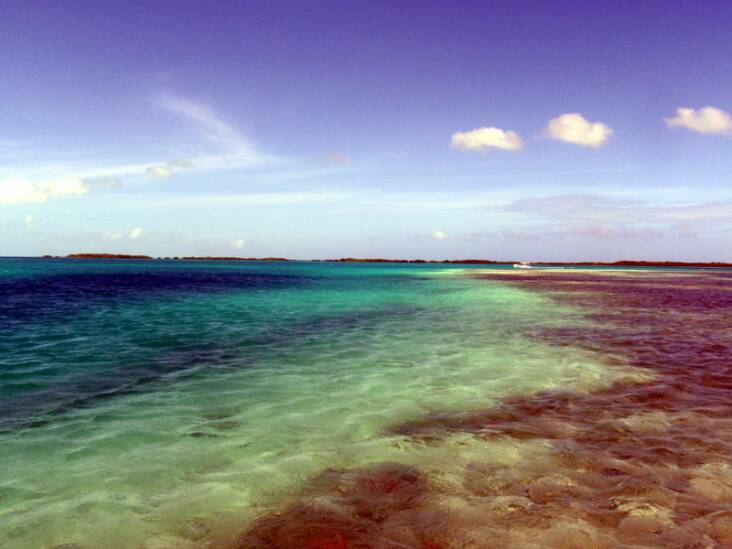 Los Roques was declared a National Park in the mid-70’s. and then in the mid 90’s, even more environmentally conscious regulations were enacted to protect the overall environment of the entire Archipelago. Some flats are coral, some are soft marl covered with turtle grass and sea weed, however most flats are firm, clean white, or golden in color, and easy to navigate. You will also be fishing extensive sand flats and beach flats, channels, cuts, coral shallows, mangroves, and massive muds created by hundreds of fish schooled up and feeding. 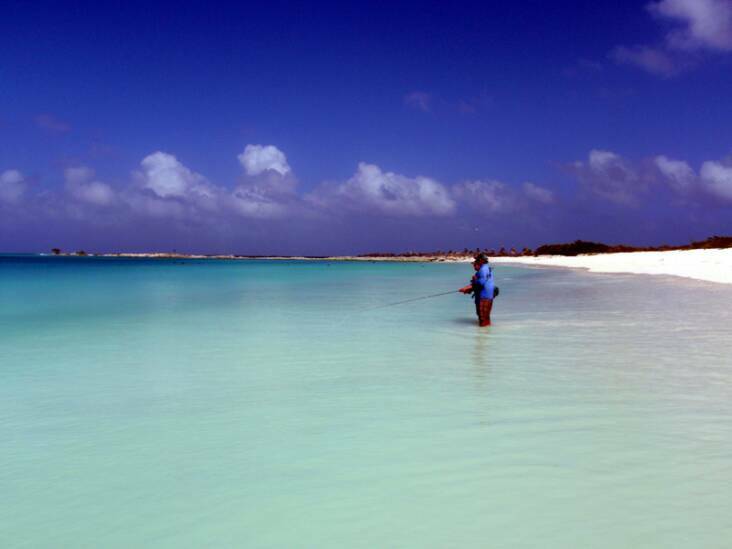 In sum, Los Roques represents a bonefisherman’s wading paradise. 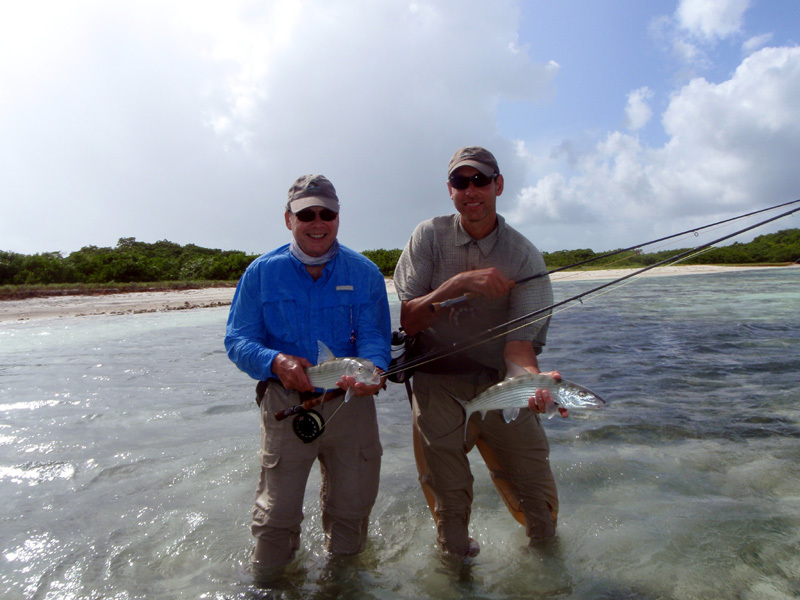 Los Roques continues to be one of the best kept secrets in saltwater fly fishing. Thanks to its location (only 12 degrees north of the equator), Los Roques air and water temperatures vary little. The climate at Los Roques is dry and it rarely rains. The area is relatively unaffected by cold fronts and hurricanes. 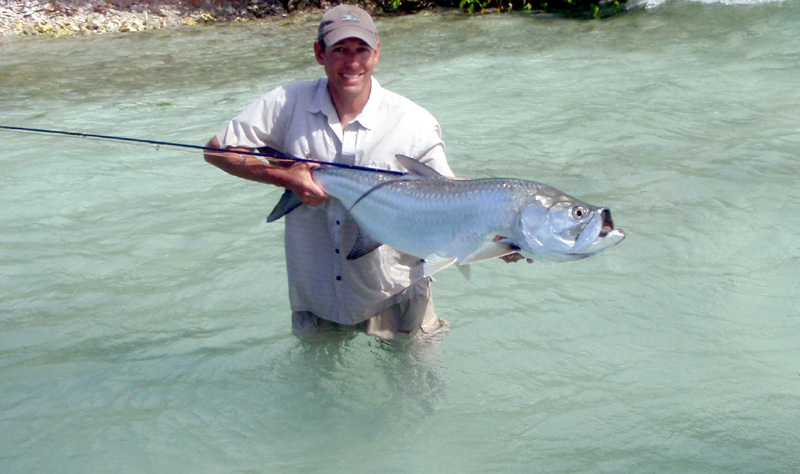 These factors make Los Roques one of the most consistent bonefishing locations in the world. 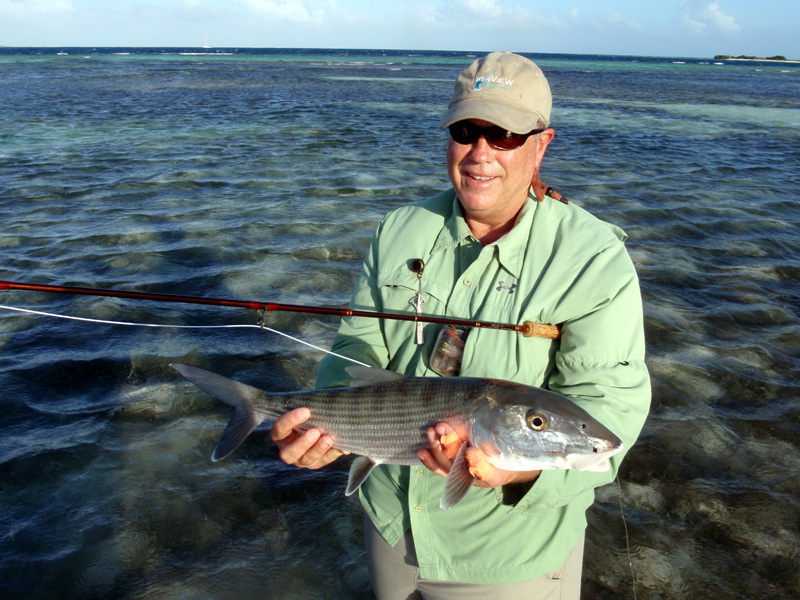 Los Roques offers outstanding numbers of Bonefish with a very solid average size of 3-4 pounds. Fish over 5 pounds are caught more frequently than fish under 2 pounds, and good numbers of fish in the 7-10 pound range are present. 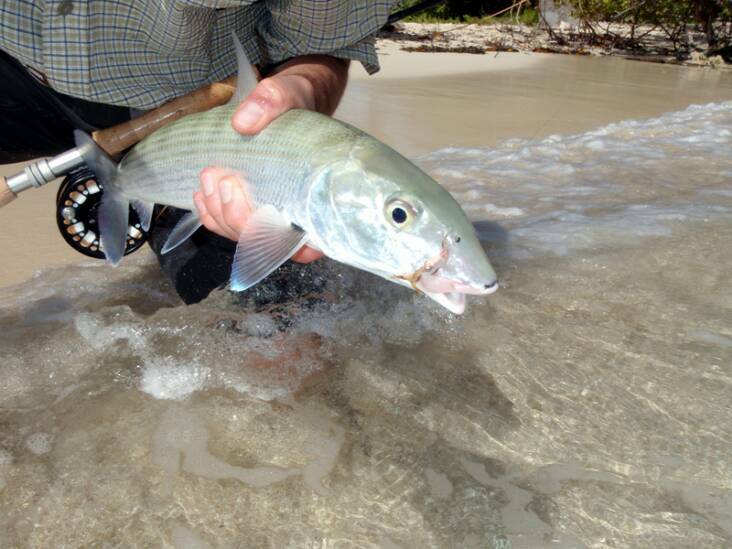 Over the past two seasons, our largest bonefish released weighed in at a whopping 13 pounds! 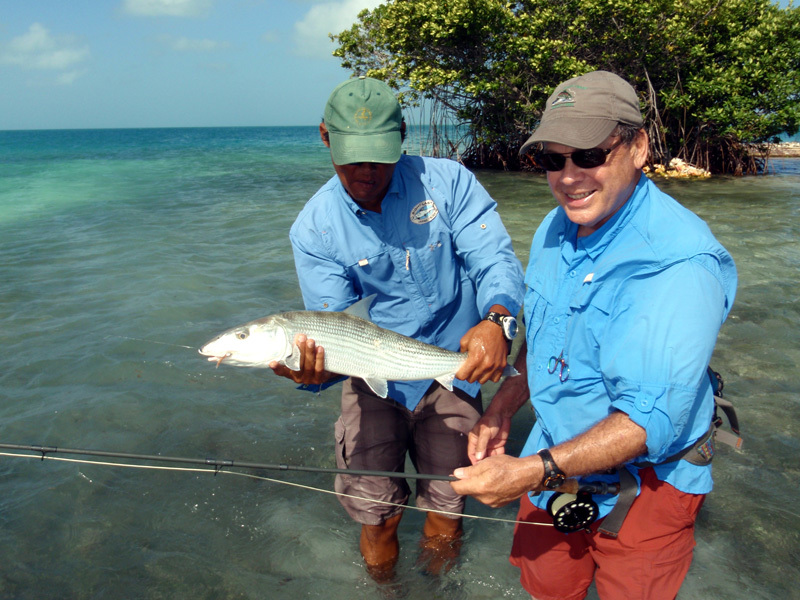 Although bonefish are the main attraction in Los Roques, tarpon from 10 to 100 pounds are frequently landed. They can often be seen rolling in the channels and occasionally on the deeper flats. Permit are seen occasionally, but are rarely caught. Other available species at Los Roques include barracuda, snook, cero mackerel, bonito and a variety of snappers and hard fighting jacks. The best season is from mid-January to October but since the Caribbean Sea is a tropical water sea with tropical weather conditions, there is also good fishing during the other months of the year. 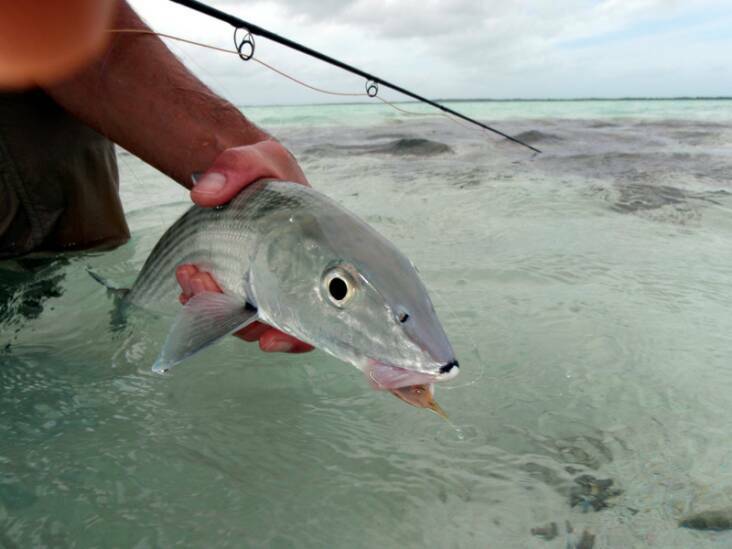 Unlike northern bonefishing locations that can experience the summer doldrums when the flats get too hot, Los Roques fishing holds up quite well and can actually improve during June, July and August due to constant trade winds and currents. These currents replace warmed surface water while oxygenating it at the same time. Since warmer water holds less oxygen than cold water, this turn over and oxygenation effect keeps the surface water quality high in areas directly exposed to the wind. 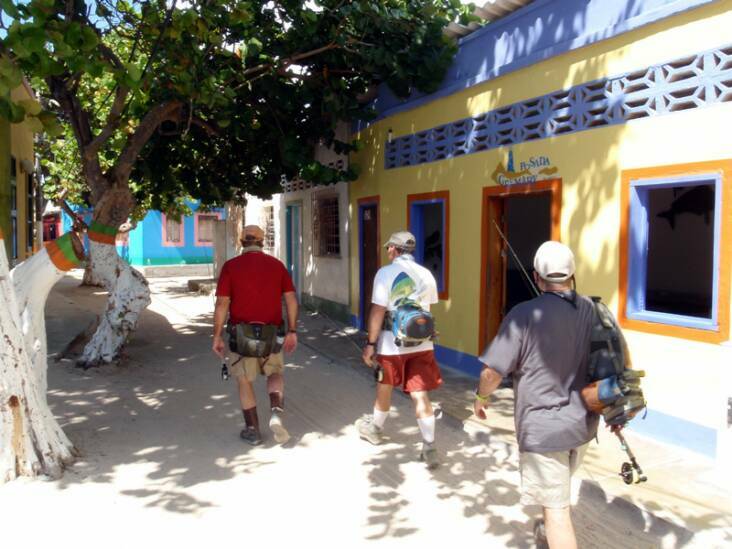 The most important thing separating Los Roques from most other locations is that during a day of fishing, anglers will find many different varieties of flats and fishing areas allowing them to be on productive water during any given time of day, no matter what the tides are doing. 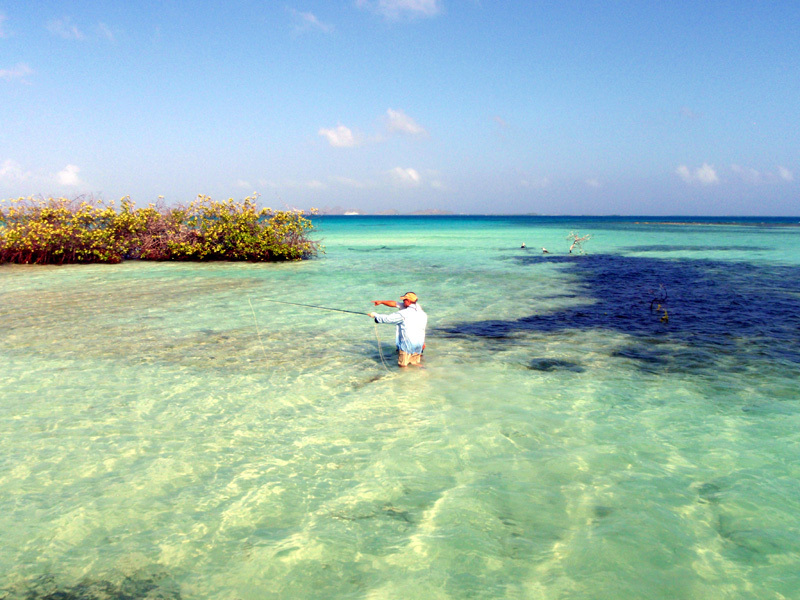 The fishing at Los Roques is mostly done the way it should be: «on foot, with wide extensions of firm, pale, shallow flats, covered with tailing bones. One week packages (7 nights / 6 days) based on double occupancy – $4,250.00 per person. Other rates apply for shorter packages, non-anglers, and single fishermen. Please call us for details. **Remember that our services are completely free! 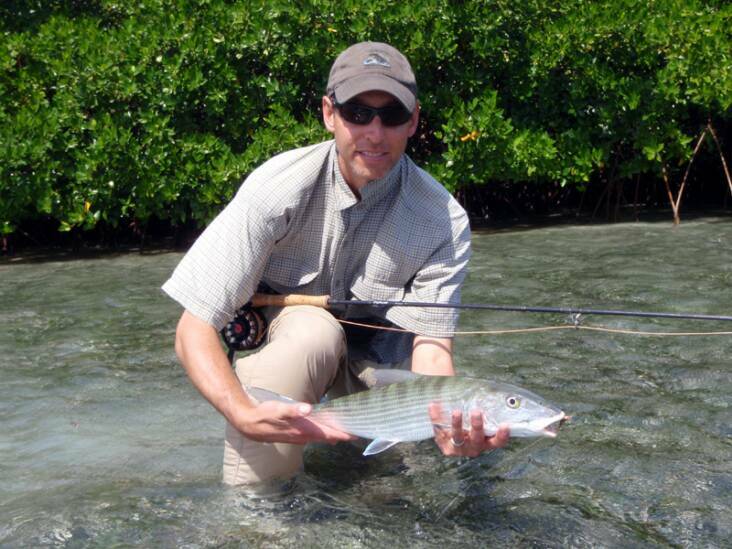 When you book a trip with CCO Flyfishing, you never pay more than when you book directly with the lodge or outfitter. First and last night at the Eurobuilding Express Hotel (the nicest hotel on the mainland in La Guaira), the number of nights lodging and days fishing specified in your package, all ground transfer services on the mainland, round trip air transfers from Caracas to Los Roques, three meals per day, fishing licenses and permits, beer and soft drinks on the boat each day. Accessed by daily, direct commercial service from the mainland, Los Roques is easier to reach than most people realize. Caracas, Venezuela's capital, is home to over 7 million people and is served by nonstop flights from Houston, Atlanta, Dallas, Miami and many other European and U.S. cities. If you arrive in Caracas before noon on a weekend, you can still get to the island that day. If not, you overnight at the Eurobuilding Express Hotel (a five-minute drive from the airport) and fly to El Gran Roque early the next morning, arriving in time for breakfast at the lodge and a full day of fishing. 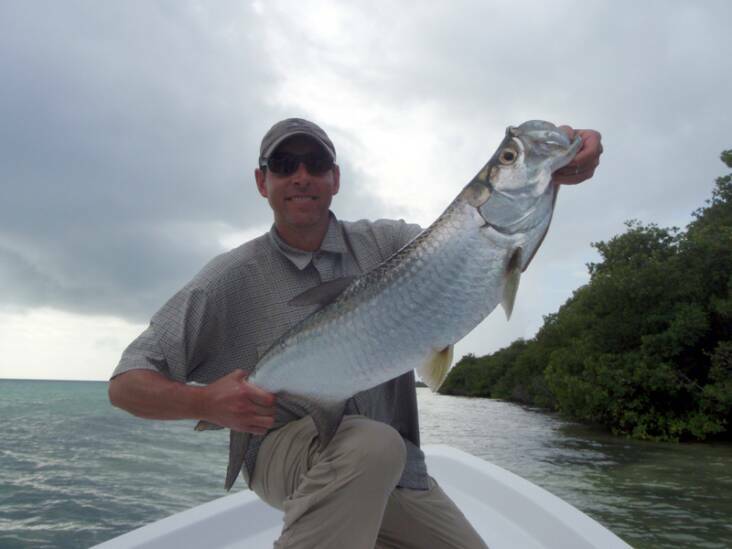 You can also enjoy a full day of fishing on your day of departure. Keep in mind that when you overnight on the mainland, you are not staying in Caracas; you are staying in the coastal city of La Guaira. Flight departure times from Caracas to Los Roques change constantly, but there are alwys several flights a day coming and going to the island (morning, afternoon and evening). A valid passport is required for all visitors to Venezuela and must be valid for at least six (6) months beyond the duration of your stay. Citizens of the U.S. and the British Commonwealth are currently NOT required to have Visas. Non-fishing activities include combing solitary beaches, visiting the sea turtle research center, snorkeling, and birding (you can get incredibly close to the island’s nesting birds.) There are also a couple of small dive shops on the island offering scuba excursions, as well as rentals for kitesurfing, windsurfing, snorkeling and sea kayaking. The distinctive rock-like peaks that form the backdrop of El Gran Roque (for which the archipelago is named) are also an easy hike. 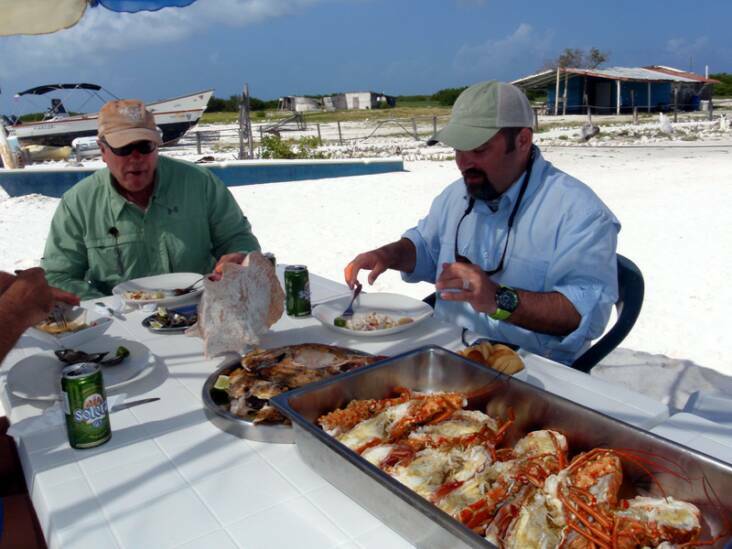 Each day, the lodge will be happy to transport non-anglers (at no additional charge) to private, solitary beaches with an umbrella, beach chairs and a loaded cooler. 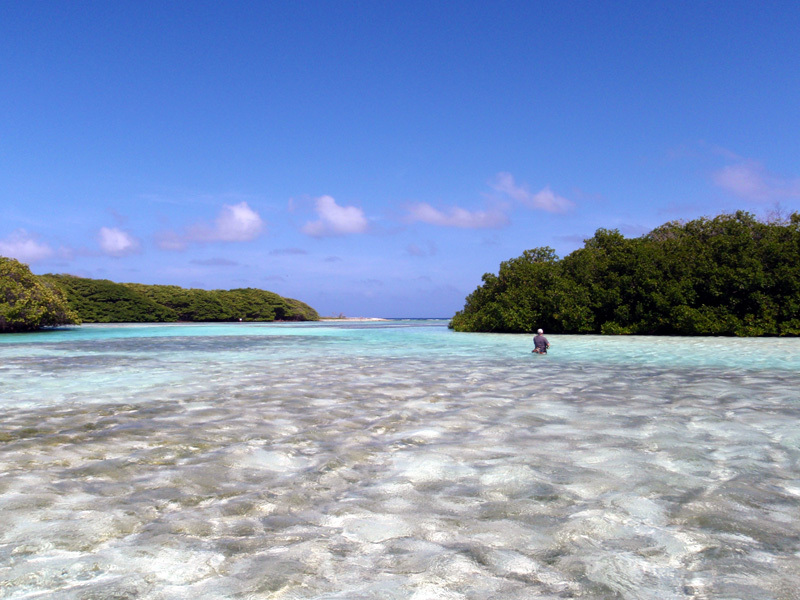 The Los Roques archipelago enjoys national park status, so building, development, and tourism are carefully controlled. Upon arrival, you cannot help but be taken in by the informality and quaintness of the place. El Gran Roque, the only town, has absolutely no cars and just one electric golf cart to ferry luggage. It is a village densely populated by greedy, proud-chested pelicans and their ever-present companions, the boobies and terns. There are a few human inhabitants as well, mostly conch fishermen and their families who dwell in decorative buildings painted in pastel hues of purple, yellow, green and pink. Telephones are few and far between, and from the time your touch down, shoes are strictly optional!